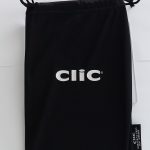 We are always looking for local retailers with store fronts to carry our product line, CliC Eyewear offers a unique product for wholesale purchase. In order to ensure all our retailers are protected, we have specific requirements you must meet to become a member of our wholesale family. Please tell us how you heard of us. Tell us how long you have been in business at your current location, and why you think your location would be a good fit for our product. We will then contact you to confirm receipt of your State Tax ID Certificate and discuss your territory to see if there is an opportunity available at your location. We want all our wholesale customers to have the same opportunity to make money. It is our intention to not consolidate our wholesalers in any one location. This will keep all of our wholesalers from having to decrease retail prices due to competition in your area. We will continue to add new styles of frames and lenses to our product line. We are very excited about the future and bringing in new innovative products for you. We’d love to welcome you to our wholesale family so please send us your information so we can get started! !